On November 28th we had the very great pleasure of spending the day with the remarkable Joe Ruggiero, whose career spans forty years of promoting good design. One of the wonderful things about Joe is that he has made design accessible to people from all walks of life, and he has made it his business to communicate why design matters. He pioneered the concept of home shows on television, appearing in 1994 on HGTV and continuing there for fourteen years. He was design consultant for “This Old House.” In between, he designs his own product lines. We are not sure that he needs to sleep – when would he have the time? 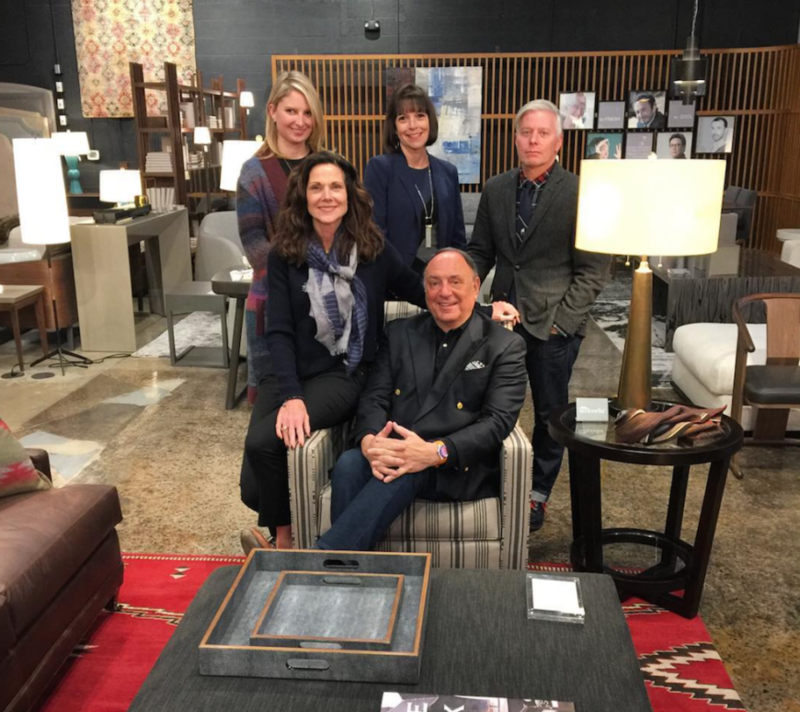 Joe came to Denver to debut his new collection of upholstery and Sunbrella fabrics with the interior design community. But in reality, it was an opportunity for us to learn from his wisdom and experience. At an intimate luncheon at the Hotel Born, Joe talked about his travels to sixteen different countries, where he studies differing design concepts – which he then brings back and introduces into our modes and models of design. It was incredibly inspirational. That evening we hosted a wine and cheese party for Joe at the Showroom, where he generously shared even more of his stories. We felt like a bright light was shining in our world, a world that is blessed with a little more beauty and delight because Joe is in it. Thank you!